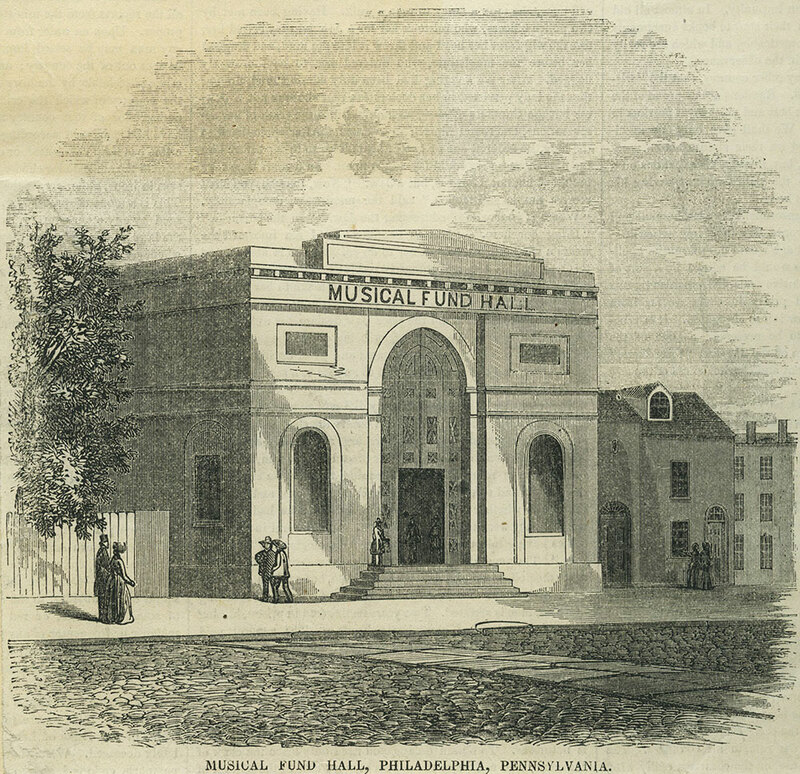 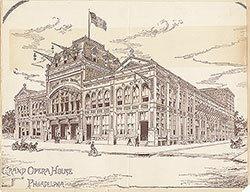 Musical Fund Hall, Philadelphia, Pennsylvania. 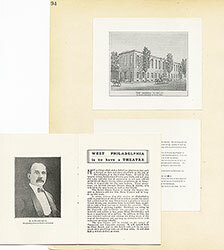 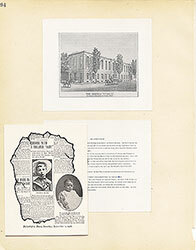 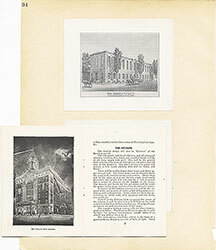 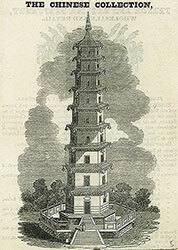 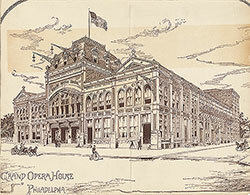 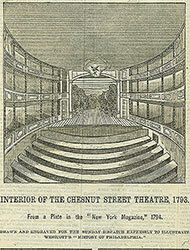 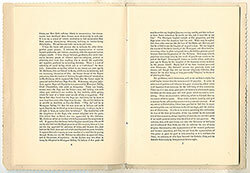 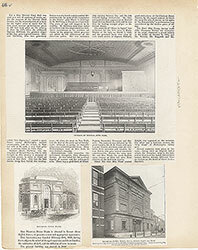 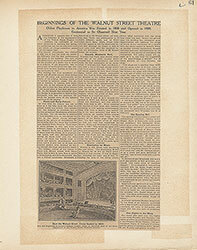 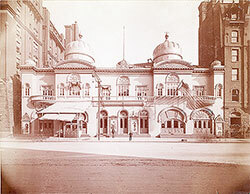 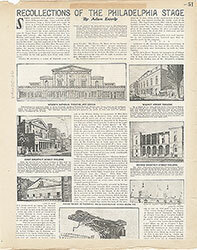 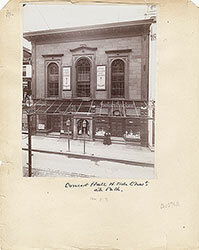 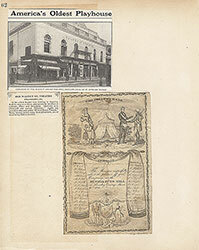 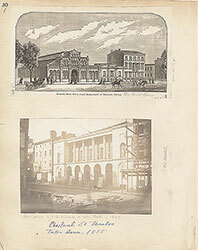 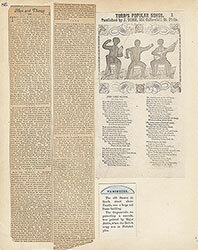 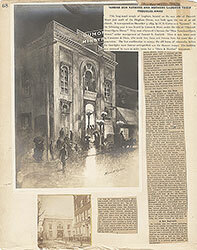 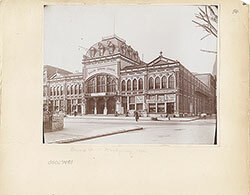 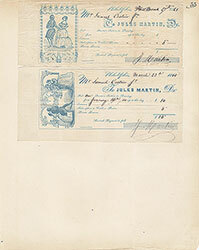 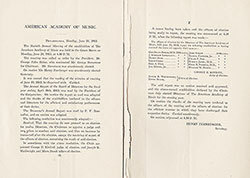 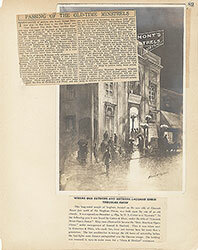 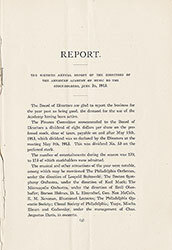 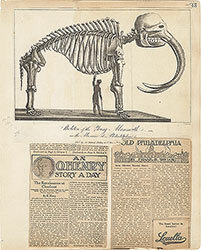 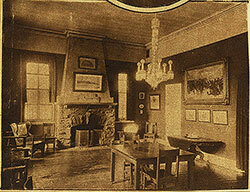 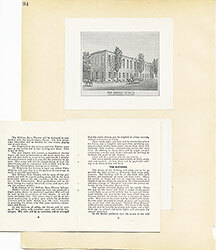 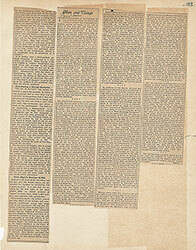 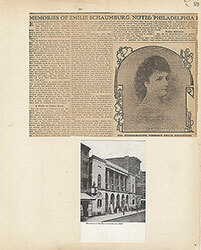 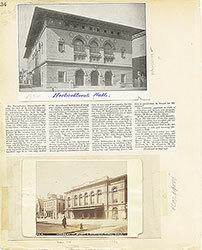 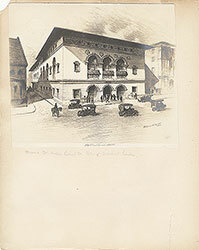 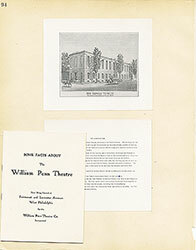 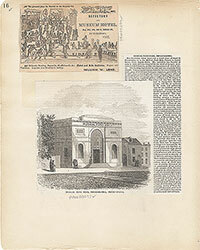 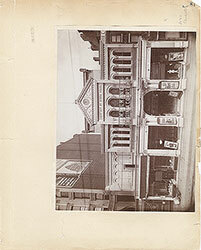 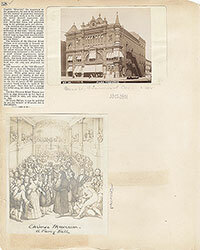 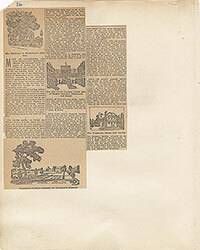 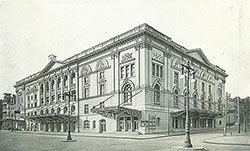 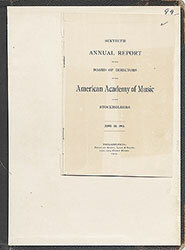 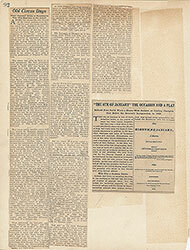 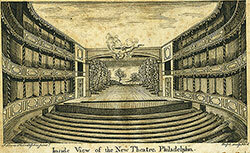 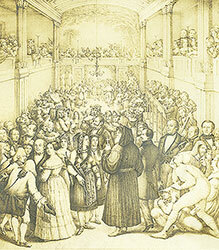 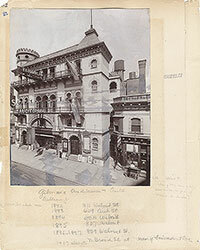 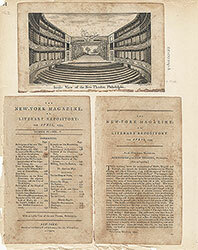 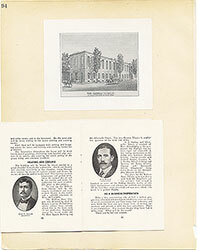 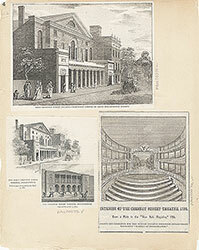 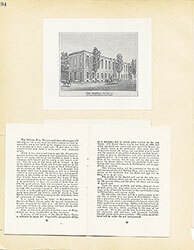 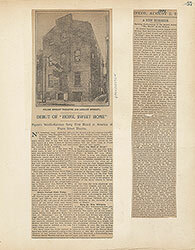 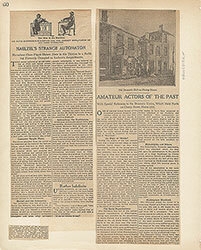 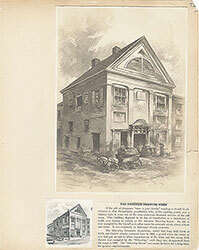 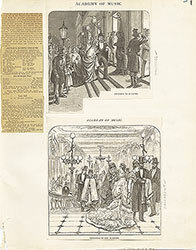 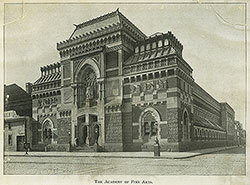 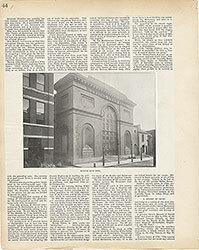 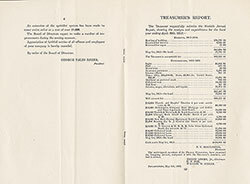 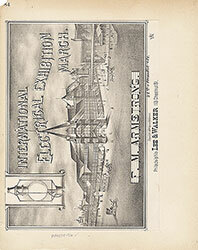 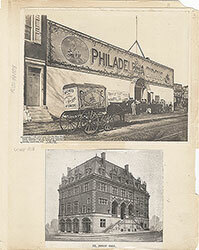 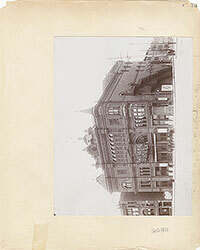 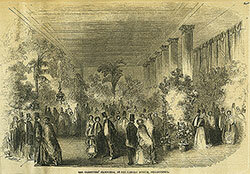 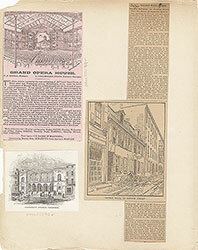 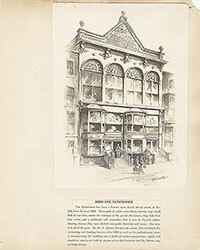 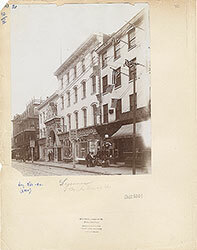 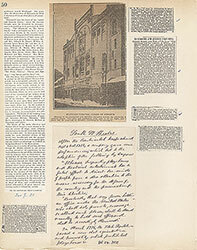 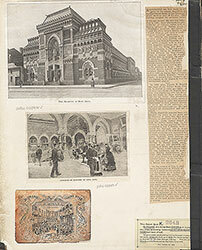 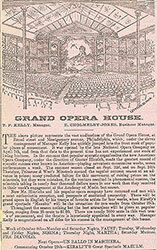 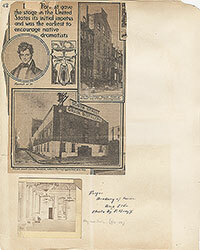 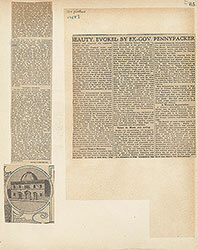 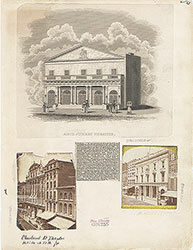 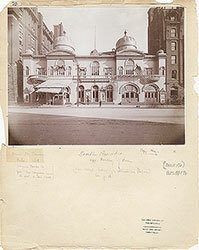 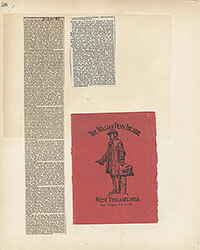 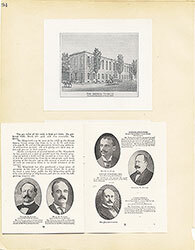 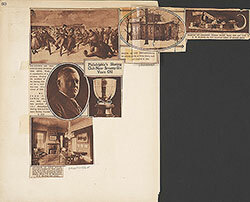 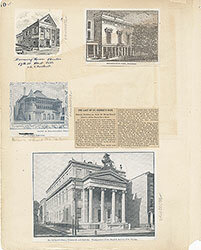 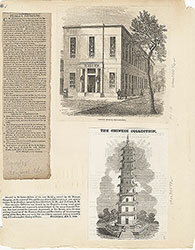 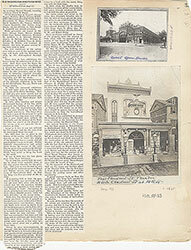 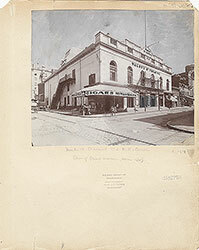 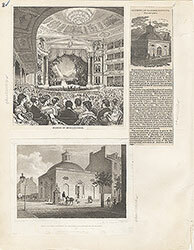 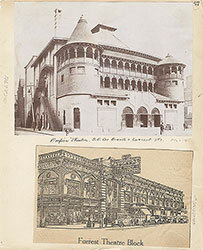 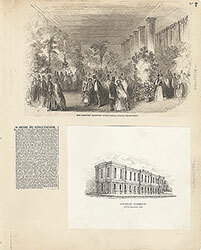 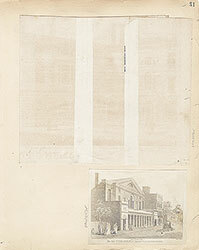 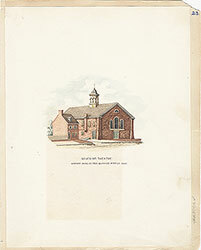 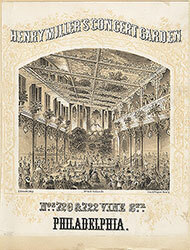 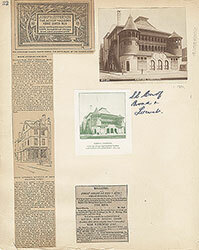 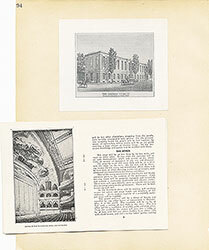 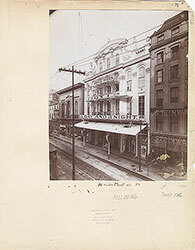 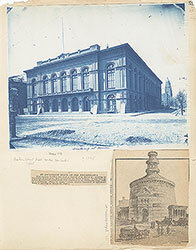 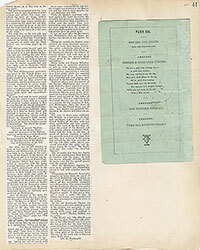 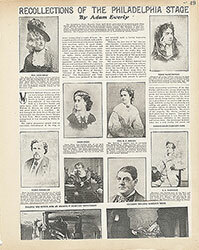 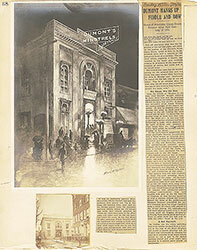 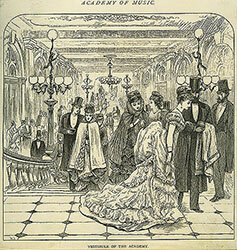 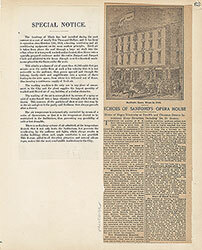 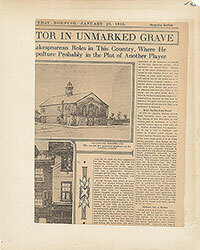 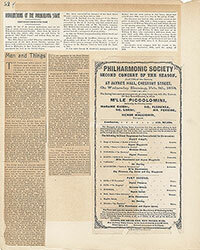 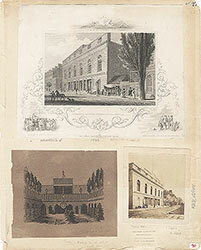 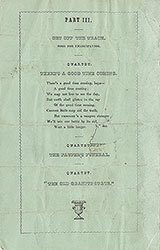 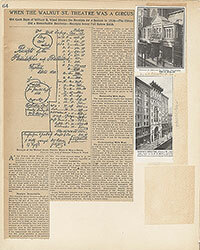 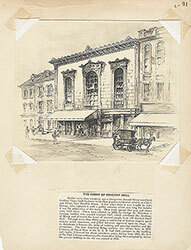 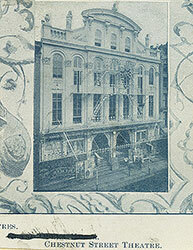 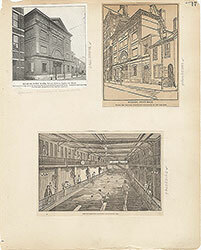 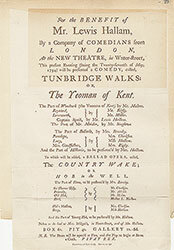 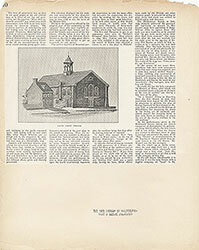 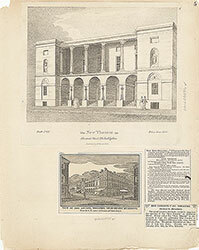 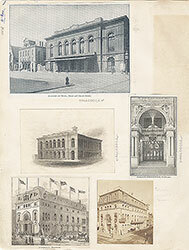 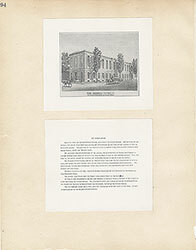 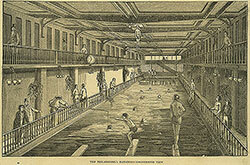 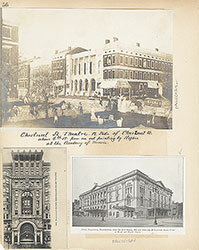 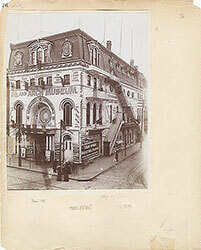 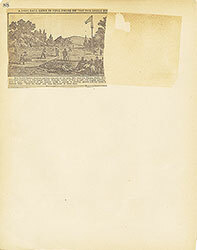 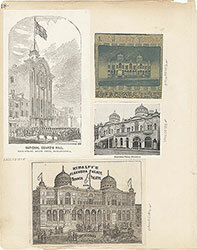 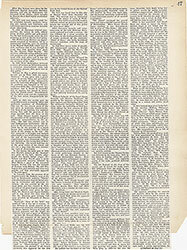 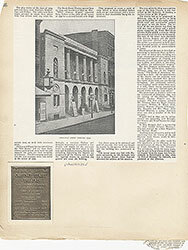 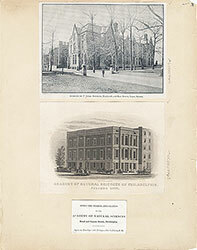 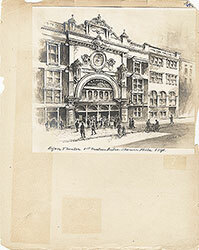 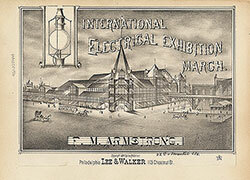 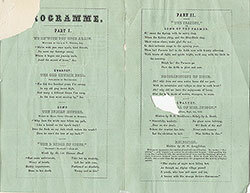 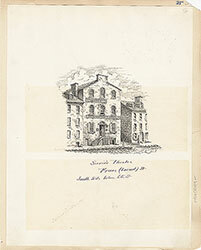 Title: Musical Fund Hall, Philadelphia, Pennsylvania. 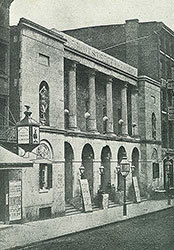 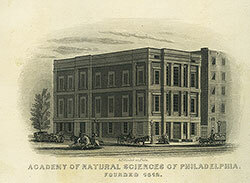 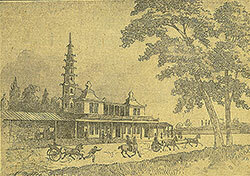 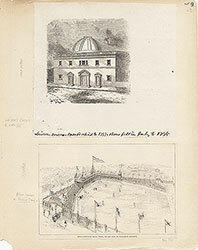 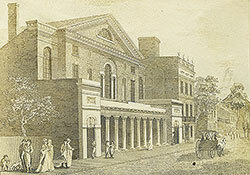 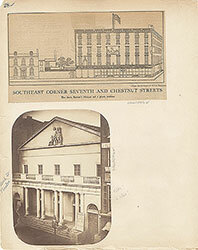 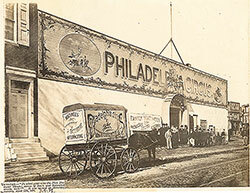 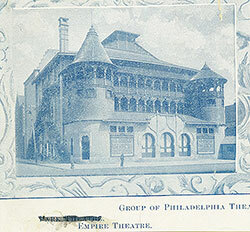 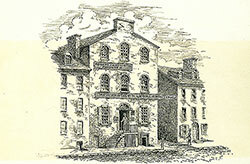 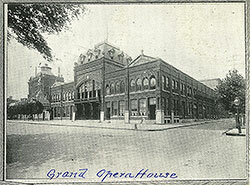 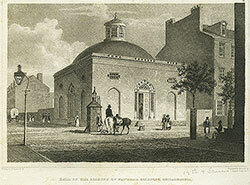 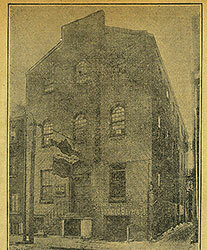 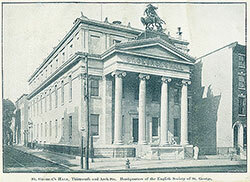 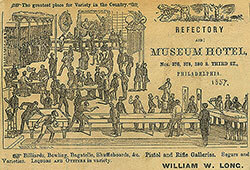 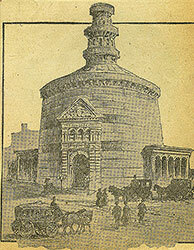 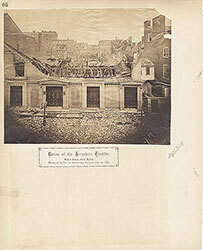 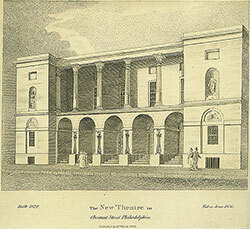 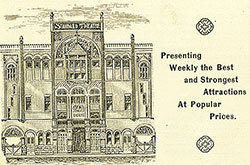 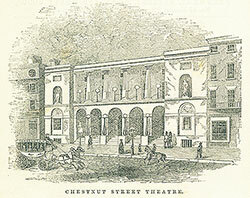 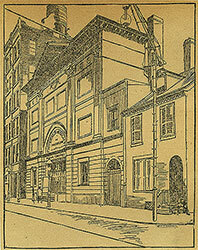 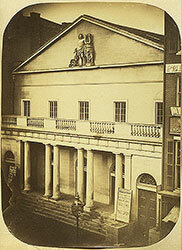 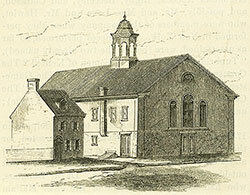 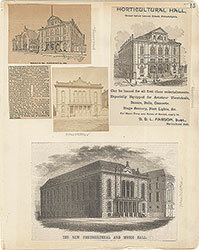 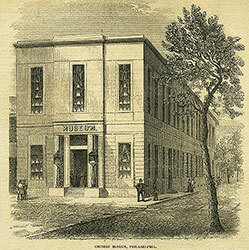 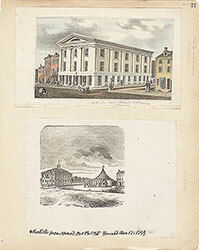 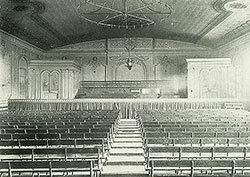 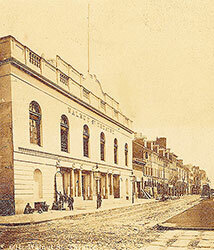 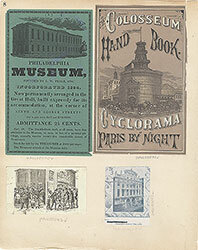 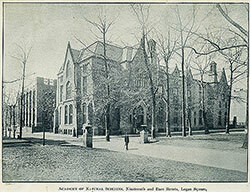 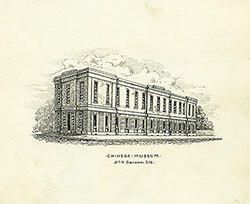 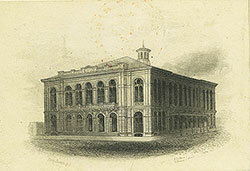 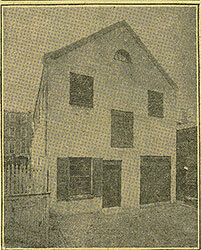 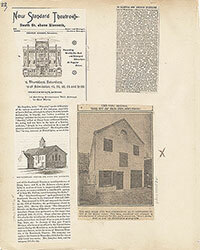 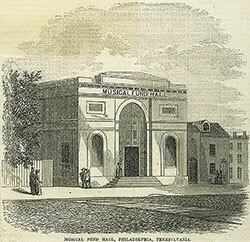 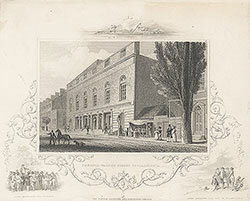 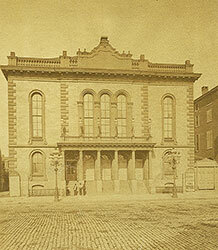 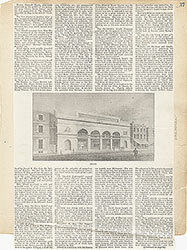 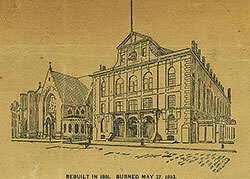 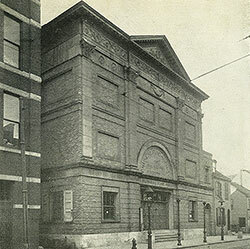 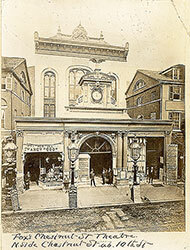 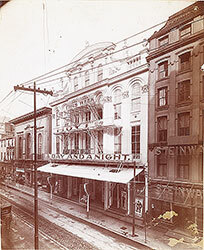 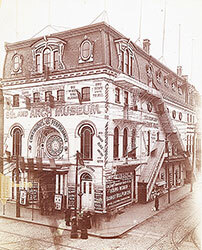 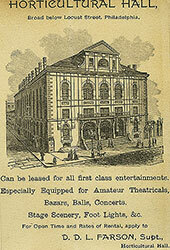 Originally the building housed the First Presbytarian Church; it was converted into the largest musical auditorium in Philadelphia by William Strickland and opened in December 1824. 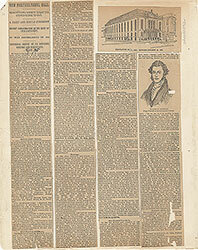 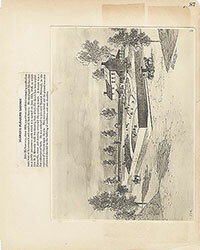 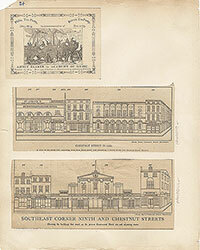 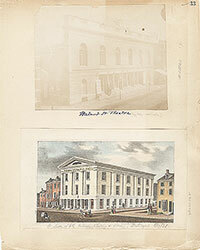 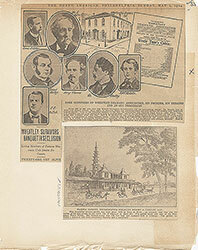 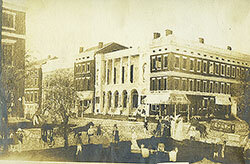 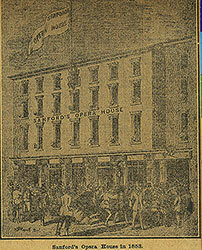 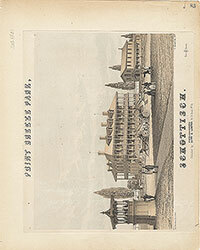 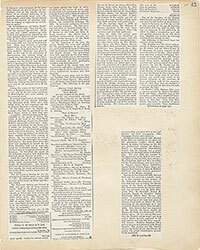 The first National Republican Party Convention was held here in 1856. 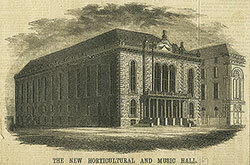 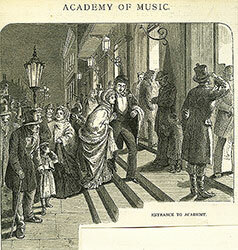 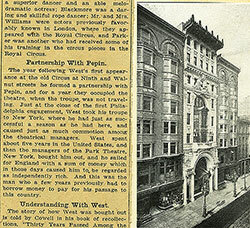 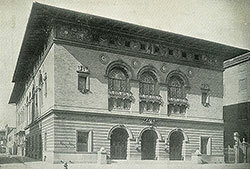 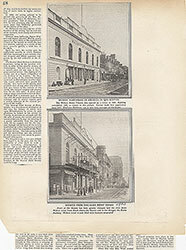 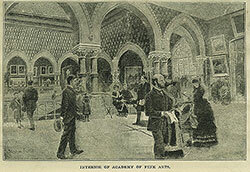 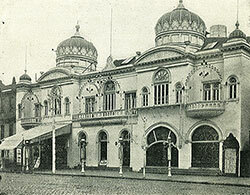 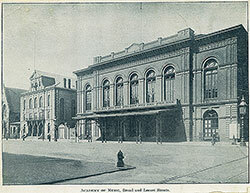 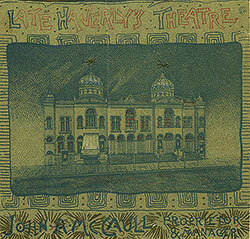 That same year saw the opening of the Academy of Music which supplanted the Musical Fund Hall as the premier venue for concerts in the city.The hall was eventually converted into condominiums.